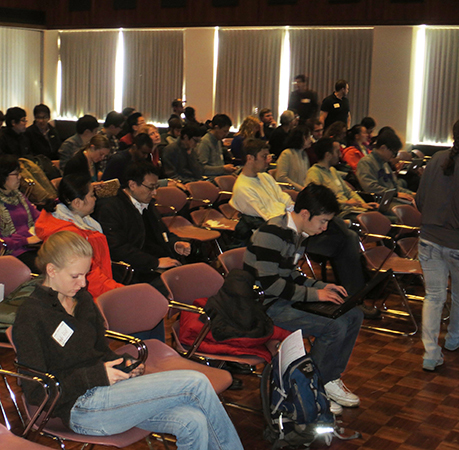 There was a huge turnout, with more than 80 attendees! 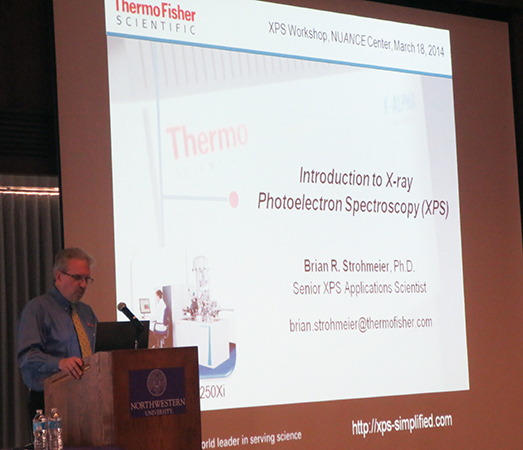 The workshop was conducted by Dr. Brian R. Strohmeier, Senior Applications Scientist, Thermo Fisher Scientific. 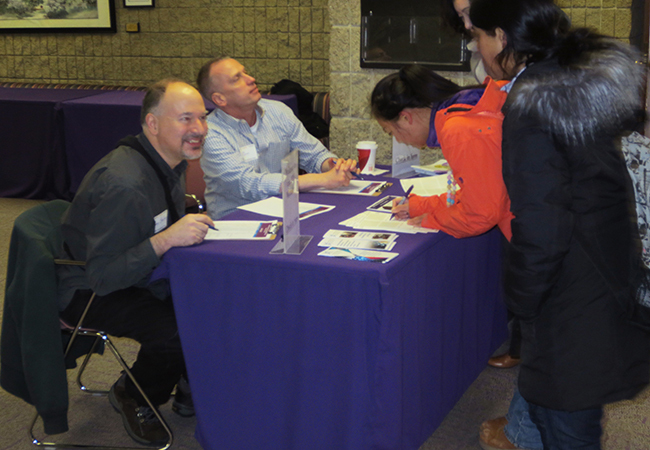 Raymond Bailey and Ron Smith checking attendees in at the registration table. 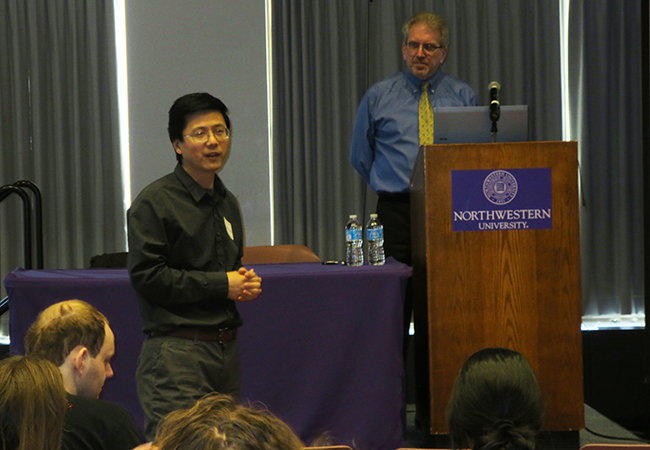 Dr. Xinqi Chen welcoming the workshop attendees. 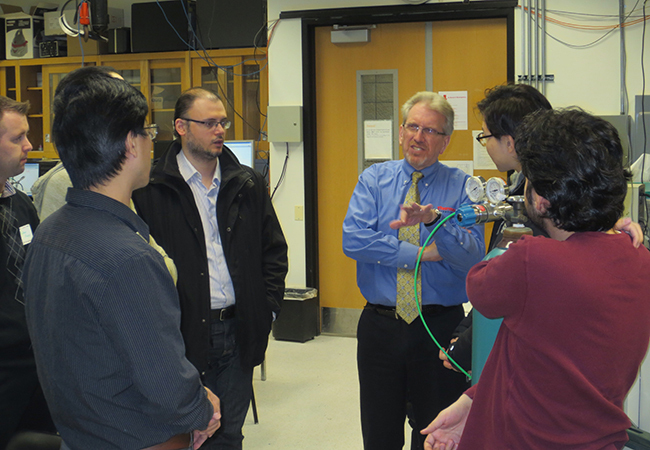 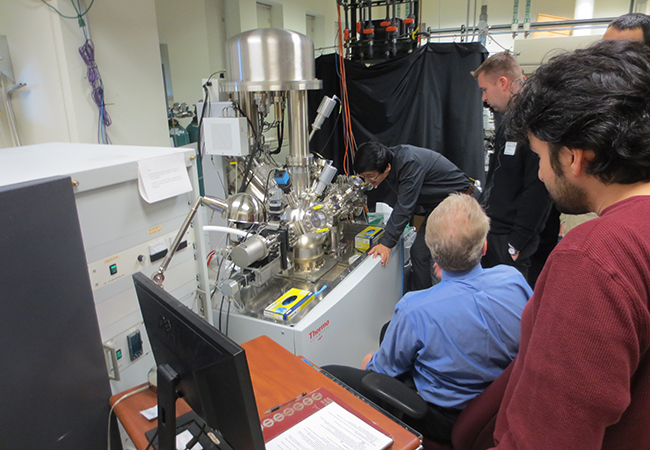 Dr. Strohmeier beginning his Introduction to X-ray Photoelectron Spectroscopy (XPS). 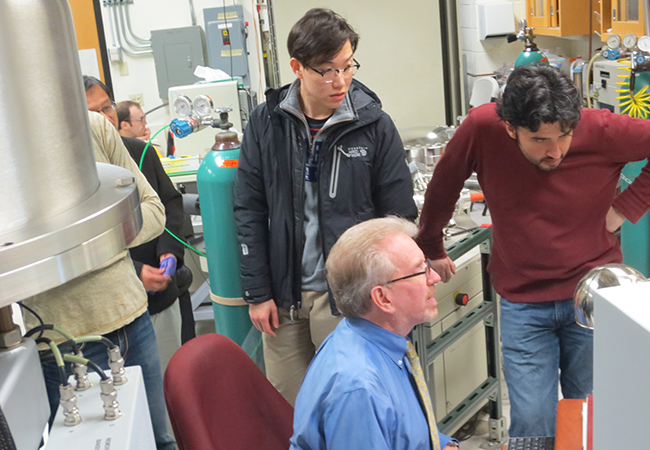 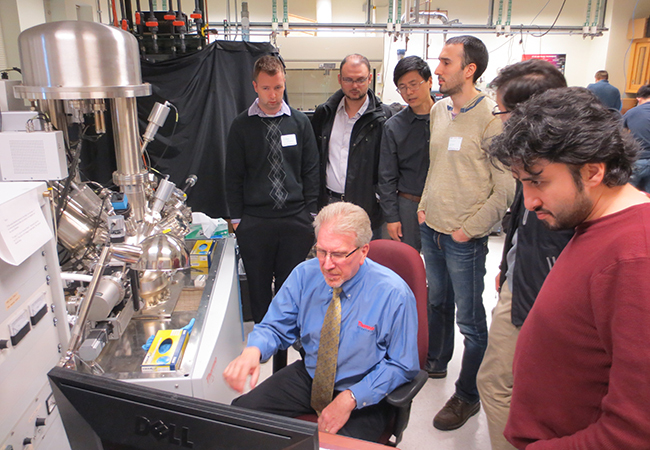 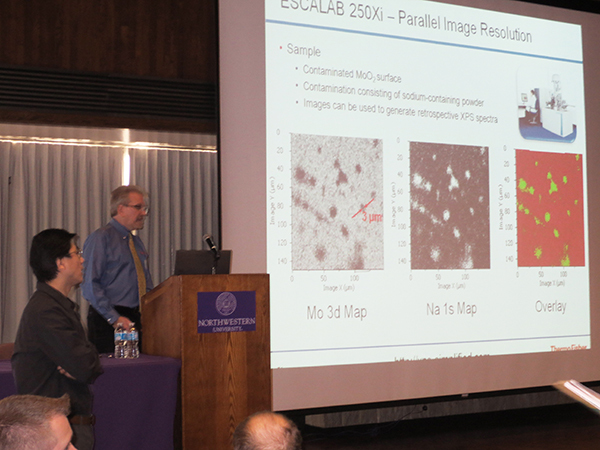 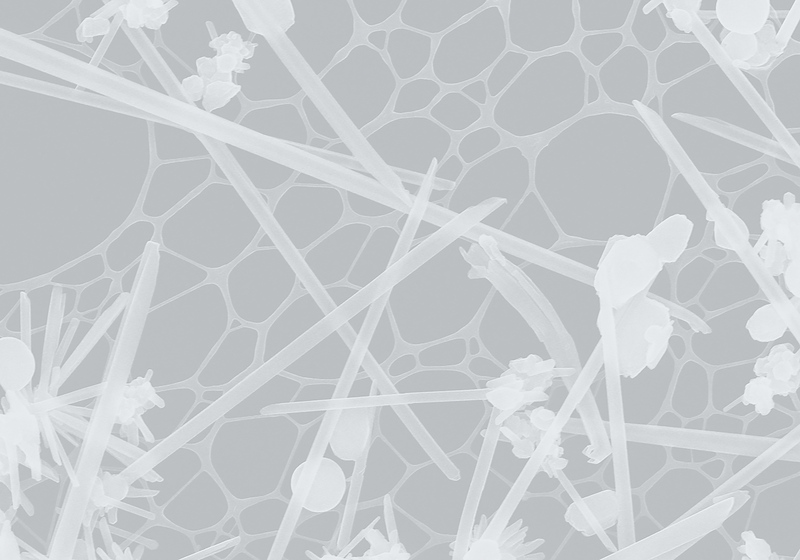 Dr. Strohmeier continuing his Introduction to X-ray Photoelectron Spectroscopy (XPS). 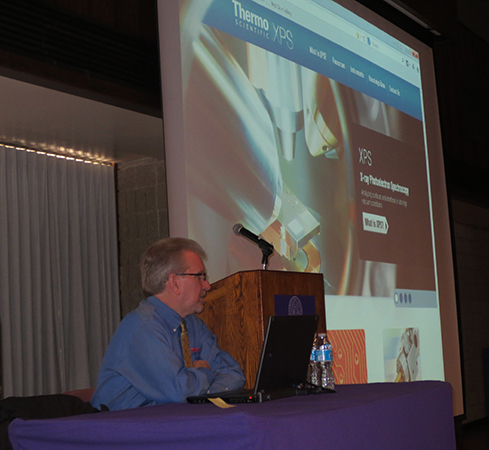 Dr. Strohmeier leading the Introduction to Avantage XPS Processing Software. 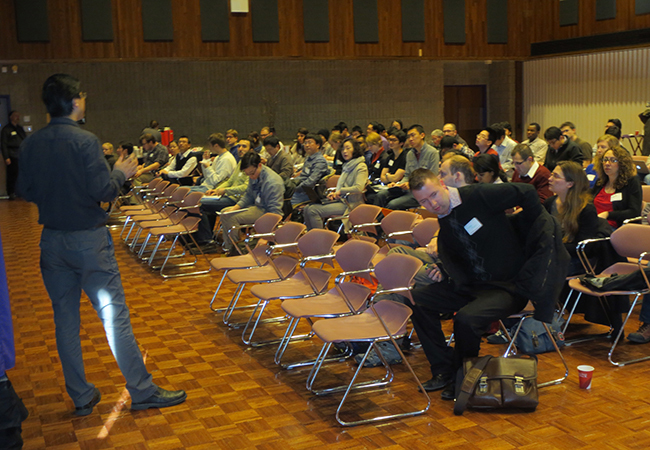 Attendees following along on their laptops during theIntroduction to Avantage XPS Processing Software. 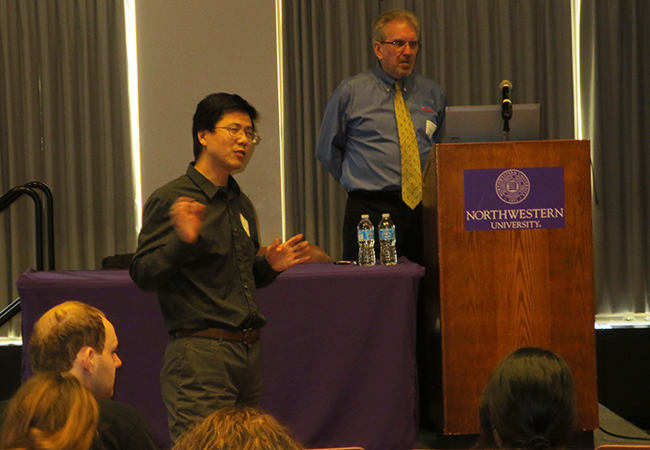 Dr. Xinqi Chen and Dr. Brian R. Strohmeier during Q & A.